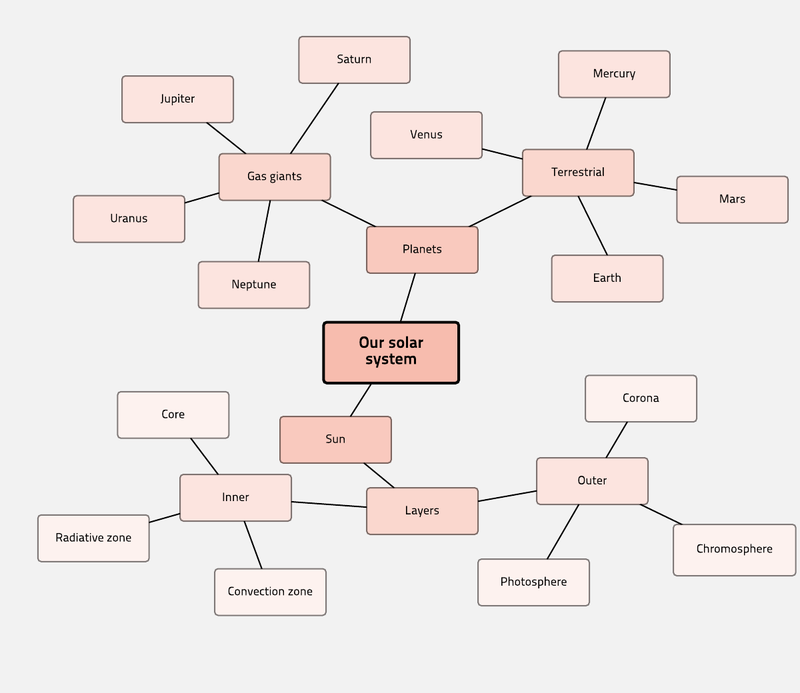 This science mind map can help you understand the solar system and its different components. You can use a mind map to explore any scientific topic. When you sign up for a Lucidchart account, you can begin using this science mind map template. Format the color, shapes, text and lines to fit any topic.